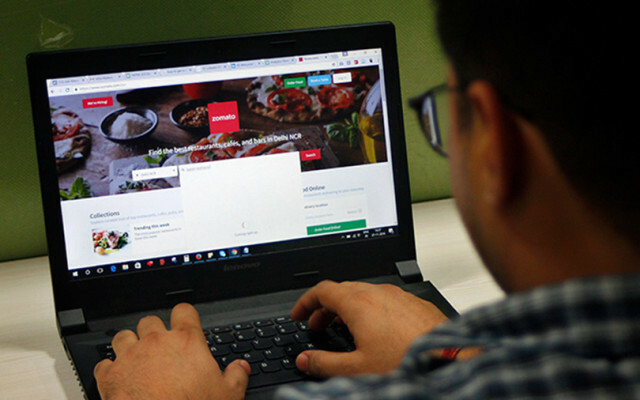 Online restaurant discovery and food delivery startup Zomato has appointed General Electric (GE) executive Sameer Maheshwary as its chief financial officer (CFO). "As we expand the canvas of our offerings, it is time for us to bring on stronger leaders at the helm of things," said Deepinder Goyal, Zomato's founder and chief executive officer. "Sameer is an industry veteran, and has a core finance background supplemented with business leadership roles." Maheshwary has been with GE since 1999 and has held various finance and business roles in the US, Japan and India. He was also the co-CEO of SBI Card, a joint venture between State Bank of India and GE Capital. Before that, he was a senior vice president at GE Capital India where he worked on business development and was the business leader for auto leasing and commercial distribution finance. There have been several top-level exits and appointments at Zomato in recent months. Co-founder Pankaj Chaddah had left the firm in March after a decade-long stay. In January, Mukund Kulashekaran was elevated to the post of chief business officer. Before that, he was global business head of online food ordering. In the same month, Gaurav Gupta was appointed chief operating officer. Gupta previously held the position of global advertising sales head at Zomato, according to his LinkedIn profile. Zomato was founded in 2008 by Indian Institute of Technology-Delhi alumni Goyal and Chaddah, who were both executives at management consultancy firm Bain & Company. CEO Goyal said last month that Zomato had increased its revenue and reduced its cash burn in the financial year 2017-18. Revenue jumped 45% to $74 million (Rs 481 crore at current exchange rates) for 2017-18 from $51 million the year before, Goyal said in a blog post last month. He didn’t disclose the profit or loss figure but said the operating cash burn for 2017-18 fell to around $11 million from $15 million, adding that the company’s annualised revenue run rate stood at $100 million. Zomato currently offers food ordering services in 15 cities in India and five cities in West Asia. In its most recent round of funding earlier this year, Zomato had raised $200 million from Chinese e-commerce giant Alibaba Group’s payment affiliate, Alipay, at a valuation of more than $1 billion. The Economic Times reported on Wednesday that Japanese internet conglomerate SoftBank Group Corp was in preliminary negotiations to invest in Zomato. Meanwhile, TechCircle reported earlier this week that Zomato's main rival Swiggy is in talks with multiple investors to raise $250 million and secure unicorn status.